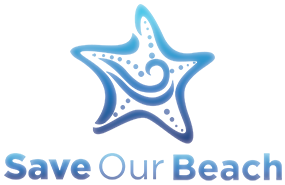 On October 20, 2018 Save Our Beach will hold its regularly scheduled beach clean-up at the First Street parking lot in Seal Beach but make no mistake – this will be no ordinary clean-up. 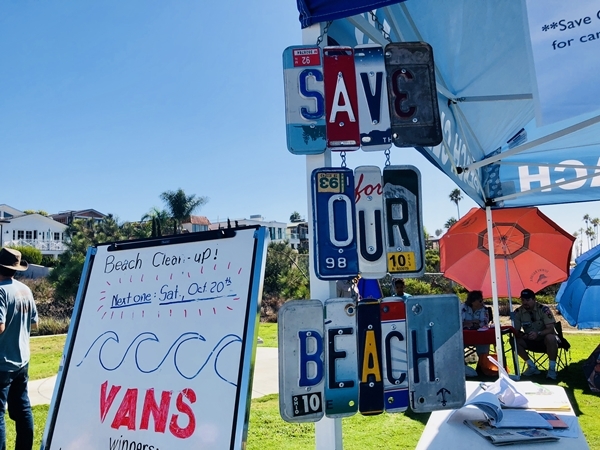 October 20 th marks the 20-year celebration of Save Our Beach! In 1998, Kim and Steve Masoner started Save Our Beach, “Because we live along the ocean – it’s literally our backyard – and we’d take long walks and pick up trash along the way,” Kim stated in a 2011 interview for the Press-Telegram. “We were asked many times if we had any extra bags as people would see us pick up trash and they thought they’d like to help, so we started carrying extra trash bags on our walks,” Masoner continued. “Then we started carrying a box of trash bags with us and setting it on the sand and people would pick up a trash bag and help out. And then we decided if there is that much interest in people that want to help, we’ll just make it easier for them by conducting a beach cleanup on a monthly basis,” she concluded. From that humble beginning 20 years ago, Save Our Beach has continued conducting monthly beach and wetlands cleanups in Seal Beach and Long Beach, hosting several hundred volunteers each month (more than 150,000 volunteers to-date) logging in 340,000 volunteer hours and collecting in excess of 380 tons of trash locally. That does not include the thousands of hours lovingly donated each year by Steve and a dedicated Board of Directors. In October of 2014, Steve and our entire community lost Kim to complications from fibromyalgia and stomach issues. Since then, Steve has courageously continued the mission of Save Our Beach in Kim’s palpable absence, keeping her memory and her dream alive. Asked how he feels about this significant milestone Steve answered, "It seems like yesterday that Kim and I started Save Our Beach. Hundreds of volunteers, neighbors, and friends are expected to attend the October 20th beach clean-up to celebrate 20 years of service, dedication, and love of our beach.